Miljet island just a few hours sail from Dubroivnik. Unlike many of the northern islands, Mljet is seductively lush and tranquil. Even its name, which comes from the word honey, stirs the senses. One local legend says that Ulysses and Calypso were so entranced, they holidayed here! Mljet sure is gorgeous. At the north-west end of the island there are two connected lakes surrounded by dense Mediterranean vegetation. You can swim and then visit the tiny island in one of the lakes, called Melita (Mljet), to enjoy its 12th century Benedictine monastery. The stunning national park is on western part of the island and is filled with thick alpine and stone pine, caves and many sandy and pebble beaches. But many say that the beach on eastern point of the island is the best in Croatia. 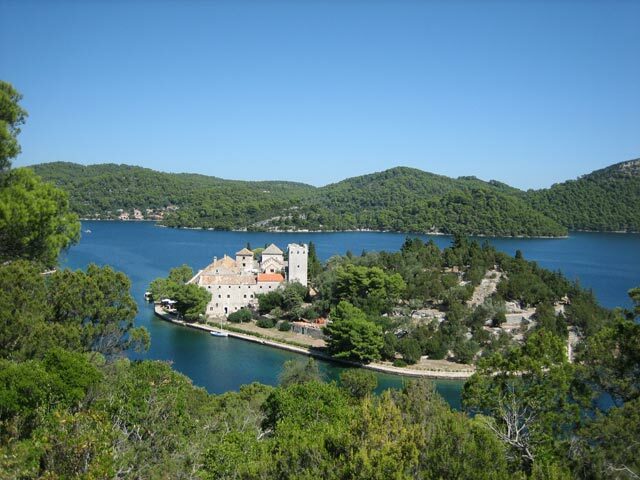 Mljet also has unusually rich fishing-grounds and if you love lobster, this is the place. The number of people on the island is strictly controlled, so you must book a took with a licensed agency that has its own arrival and departure time already approved. There are lots of regular local excursions to Mljet from Korcula as well as from Dubrovnik, or if you are coming from Peljesac, the car ferry from Prapatno to Sobra, Miljet’s main port, is much faster. Mljet is the perfect place to de-compress after Dubrovnik.